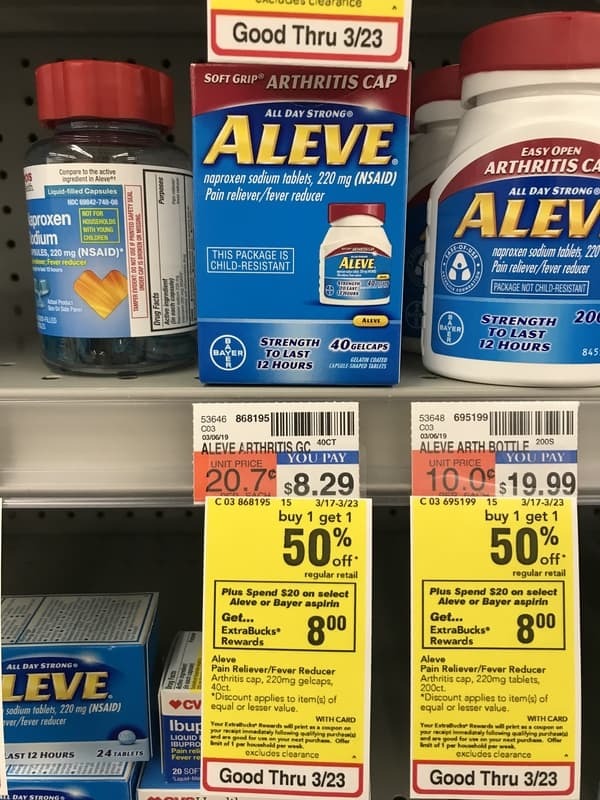 Thru 3/23, CVS has a Buy One Get One Free offer on Aleve. CVS has it for only $8.29 each plus you can add $4/1 Aleve coupon insert to this deal to bring the price down to $8.88. There is also an Extra Care Bucks offer you can that will make your final price only $0.22 each.